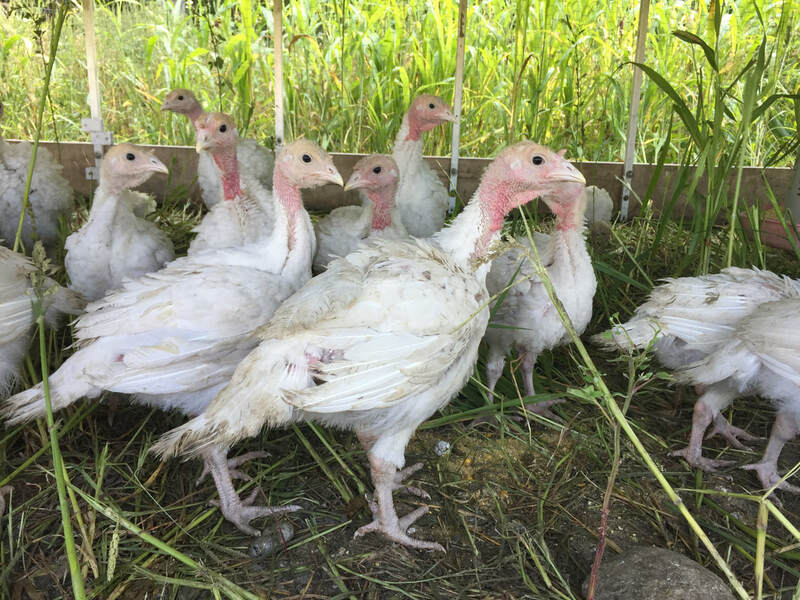 ​Our turkeys and chickens come to us at 1 day old from a hatchery in Michigan. 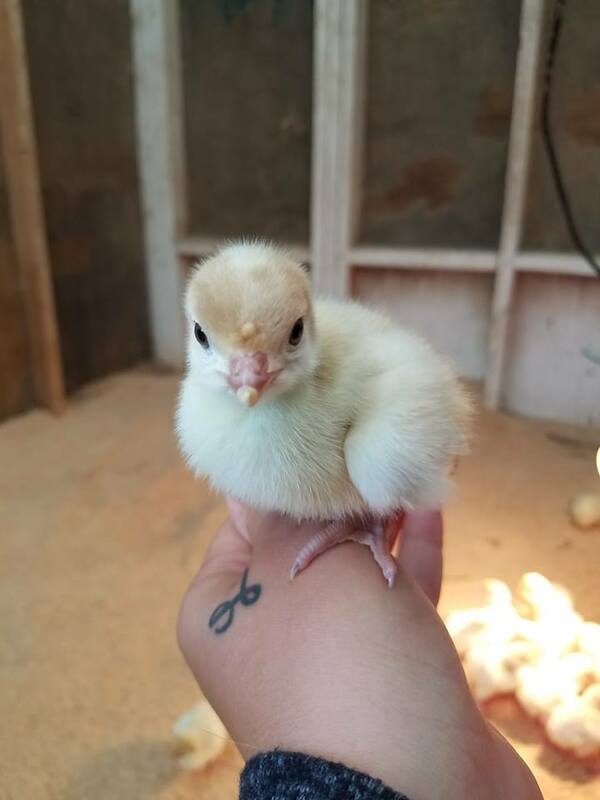 The baby chicks must be kept warm and dry (roughly 90 degree range the first week) and must be protected from predators. 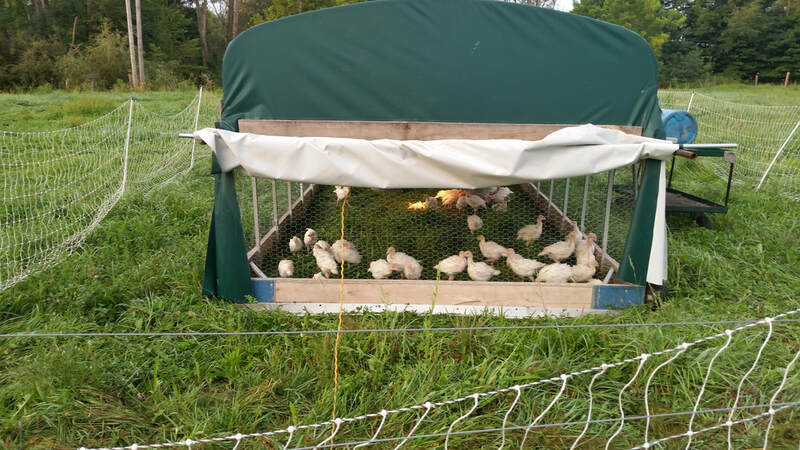 We start them inside in an incubator that we built. 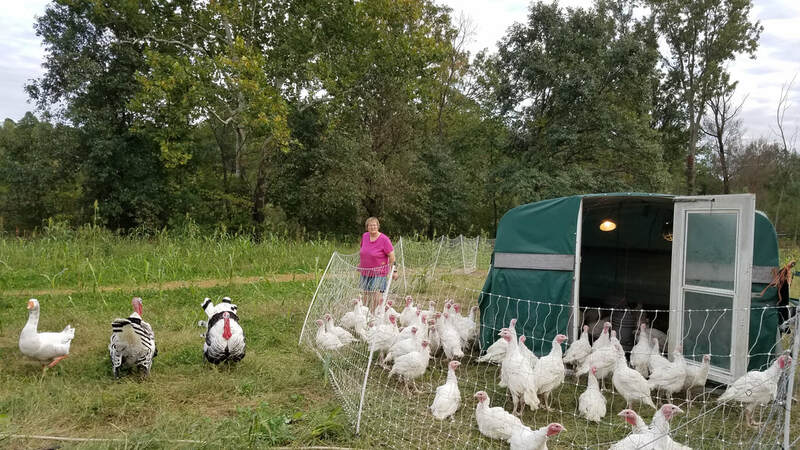 ​As soon as the birds are feathered, we move them outside to "chicken tractors" (or "turkey tractors") which are bottomless enclosures that allow the birds fresh air and protects them from predators. They forage for insects in the grass and clover and are moved to new areas daily. In addition to gaining nutrients from Mother Nature, our birds are fed a non-GMO feed. 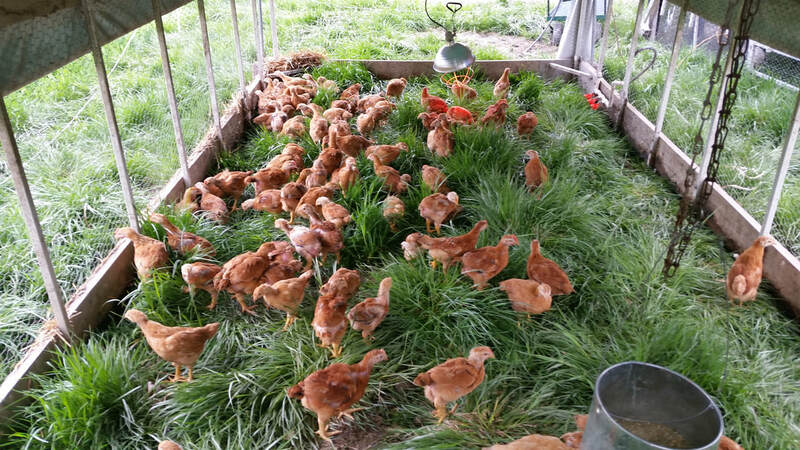 Our chickens are fed a non-GMO feed that also contains no soy. No drugs, growth promoters, antibiotics, or steroids are fed- ever. Natural minerals & raw apple cider vinegar are supplemented to keep the birds healthy. Soybean meal is extensively used in many feeds to supplement the protein level. Health concerns due to plant based estrogen (phytoestrogens) lead many people to seek out food low in soy or without soy. We offer Whole Chickens, Cut-Up Chickens, and fresh Turkeys.